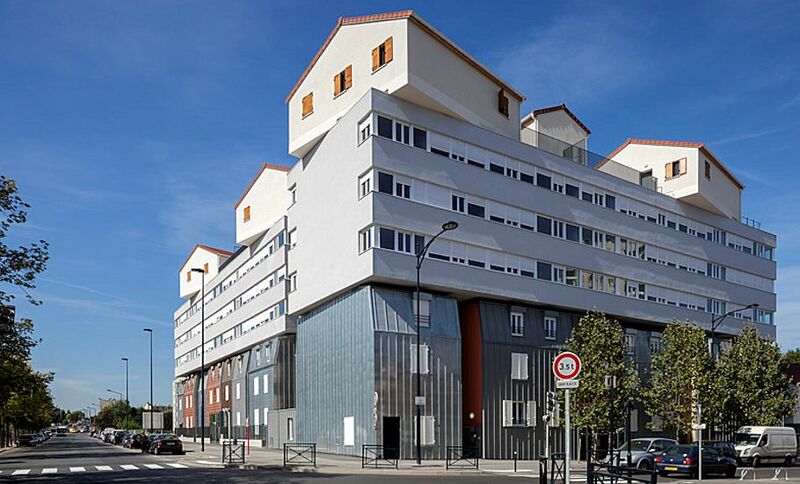 Urban Collage was designed by architect Edouard François to contain a mixture of all the surrounding residential typologies in the suburban neighbourhood in Champigny-sur-Marne. "It's like a piled-up reenactment of the whole neighborhood." After no sightings for a few months, saw the great blue heron twice today. First, as I approached Rockledge Run on the horse trail, it took off in flight as I was getting close. Then, more than a mile away, as I was getting close to my turn-around point, there was a lone white-tail deer on the path just 40 yards ahead. It was slowly stepping down the bank to cross Pennypack creek when suddenly the great blue heron landed in the creek right beside me. It's quite rare to get a double treat like that. Last night I heard one of the Rascal Flats guys tell Chelsey Handler that he hunts white-tail with bow and arrow. Every few years they have to lessen the the deer population of Pennypack Park with bow and arrow as well. From now on I'll be thinking of this kind of deer hunting as a rascal activity. 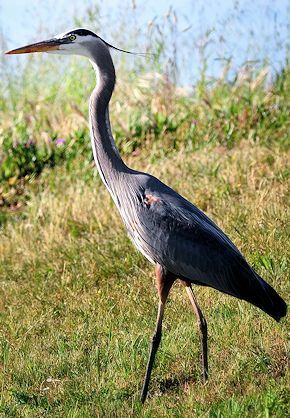 A woman walking a golden retriever came along and I showed her the great blue heron. "You know I sometimes see one eating fish out of my neighbor's pond. We're off of Lorimer Park (about two or three miles away). I wonder if that's the same one." "I think there's only one in the park." "I think so too, because you only ever see one, never two." "Same here, I've only ever seen one as well." "Have you noticed how it's more blue in the summer?" "There it goes. I love that wing span."